Are you lacking inspiration and in serious need of some bathroom furniture ideas? 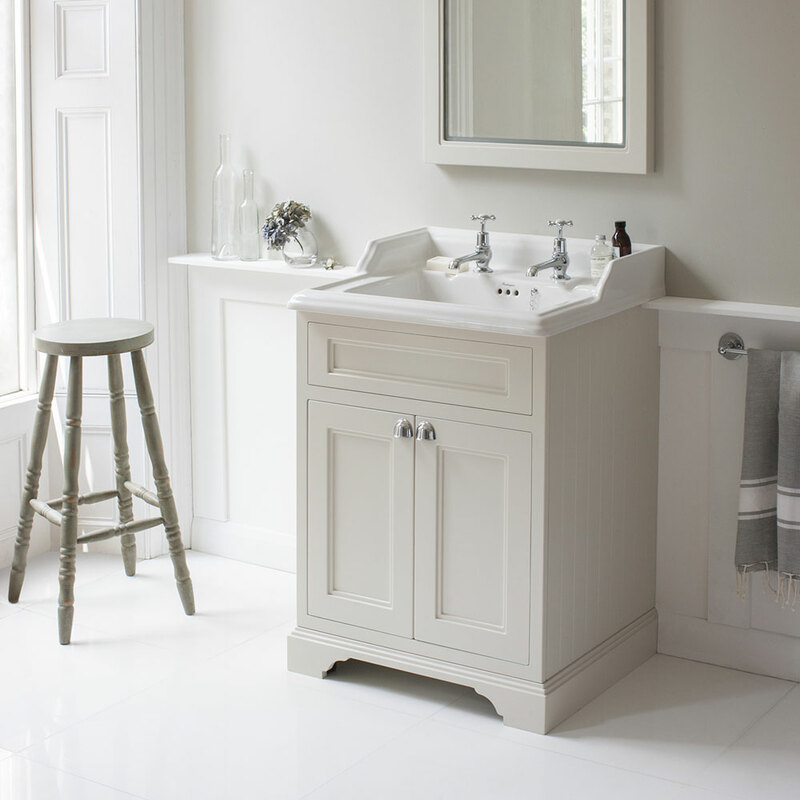 Do not fear, here at VP we've put together 12 bathroom furniture ideas to help refresh your room! Posted By Alan, 12th Jul 2018. 9 Minute Read. You’ve had enough! Cabinet doors are falling off their hinges, shelving space is no longer adequate and you’re pretty sure that the tall boy storage you bought last century didn’t come with rotting wood and peeling paint as standard. 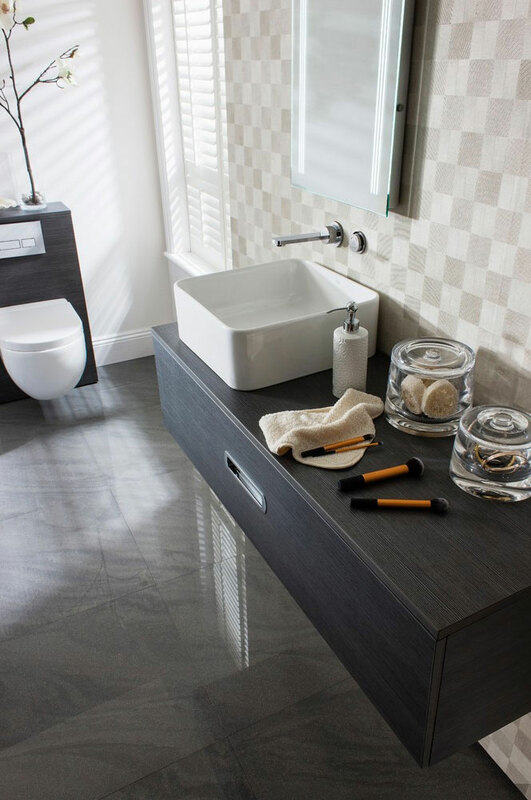 It may not always be considered a staple item within the room, but bathroom furniture is essential for bringing together the whole room and for keeping it neat and tidy. 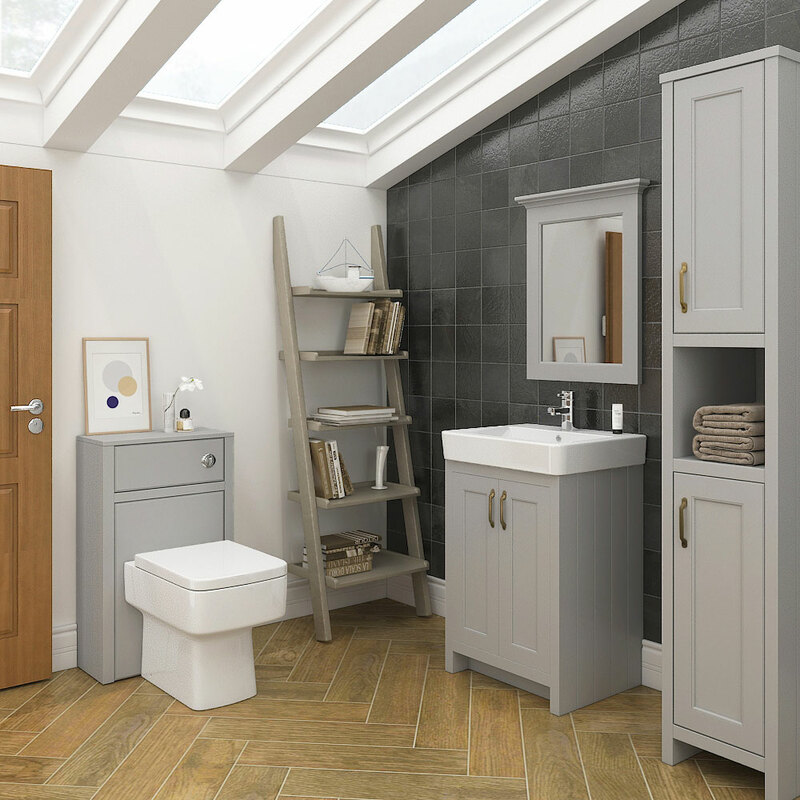 Storage space is often overlooked when planning a bathroom but it is definitely worth having if you want to create a beautiful setting. 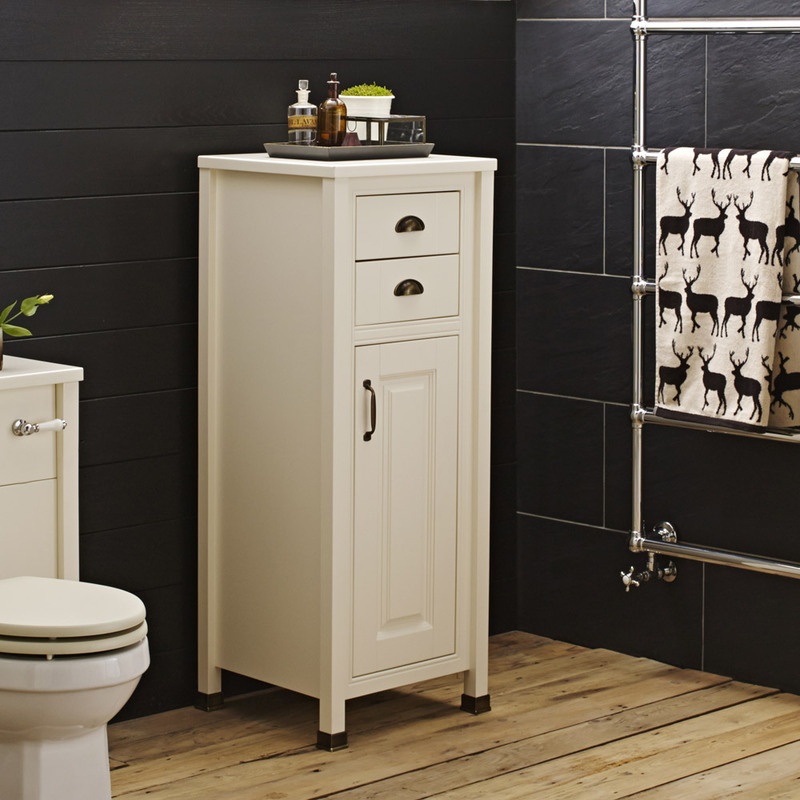 Let’s take a look at some refreshing ways you can add more storage and style to your bathroom using furniture! Ever seen furniture literally hanging from the wall in a bathroom? These cool options have been around for years, but with recent improvements to both style and design, modern-day wall hung bathroom furniture has really leapt forward into the 21st century making it one of the most popular styles of furniture for bathrooms. We recommend taking a look at wall hung bathroom cabinets (pictured above) if you’re on the hunt for something stylish and practical, but If you love the idea of having a wall hung vanity unit with basin (pictured below) then you’ll be amazed at the amount of options available to you. They say if it isn’t broke why fix it? And the same can be said regarding floorstanding bathroom furniture. These freestanding units require less effort to build and install than wall hung furniture and you can move them around should you find a better place to position them whenever you change your bathroom layout. If you like the thought of floorstanding bathroom storage then you should seriously consider freestanding vanity units (pictured above). 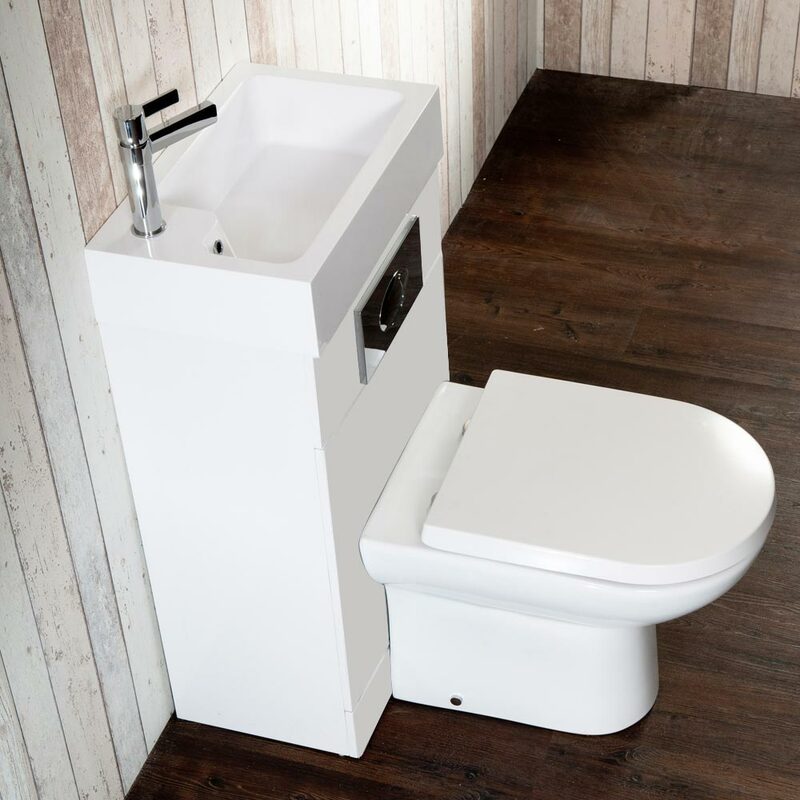 Freestanding vanities range from simple storage solutions with a basin sink to combination units featuring multiple storage options. A great idea is to combine a tall storage unit with your vanity unit in order to create a stylish complete (pictured below). Alternatively, tall storage units, also known as tall boys, are perfectly fine placed all by themselves. 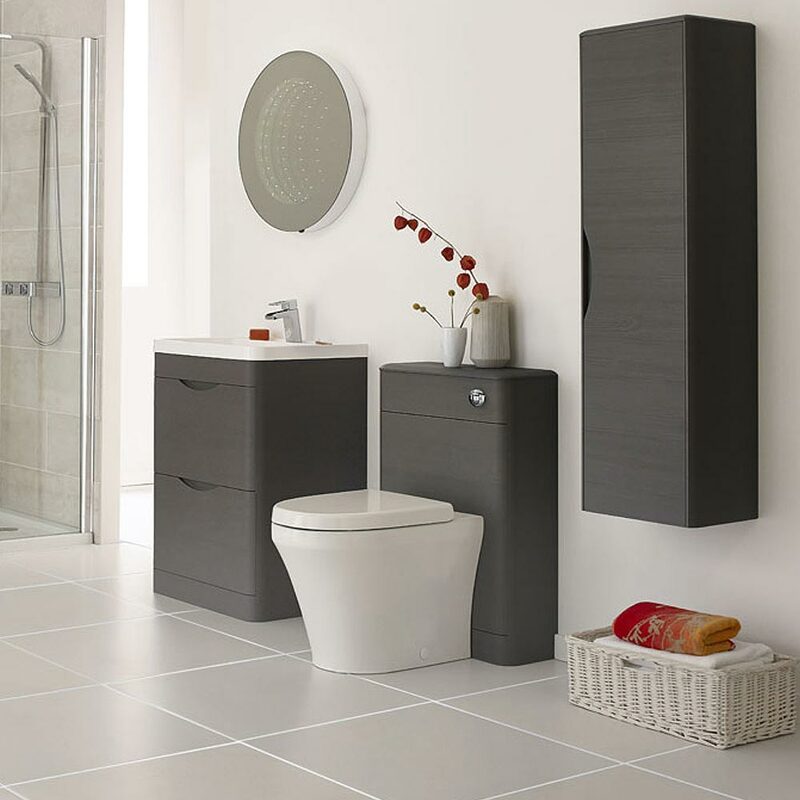 The contemporary styles of bathroom furniture you’ll find today are really stunning pieces. You’ll find lots of glossy finishes in a multitude of colours including popular options such as white and grey. A fantastic idea when it comes to modern furniture for bathrooms is furniture packs (pictured above). 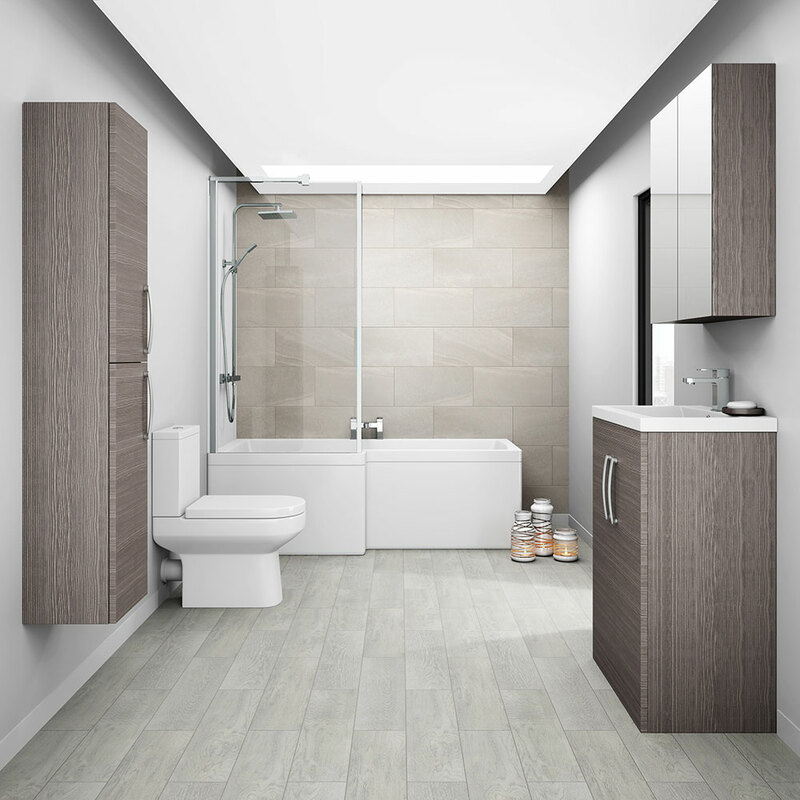 Bathroom furniture packs allow you to combine furniture which has the same colour and finish which creates a beautiful impact. 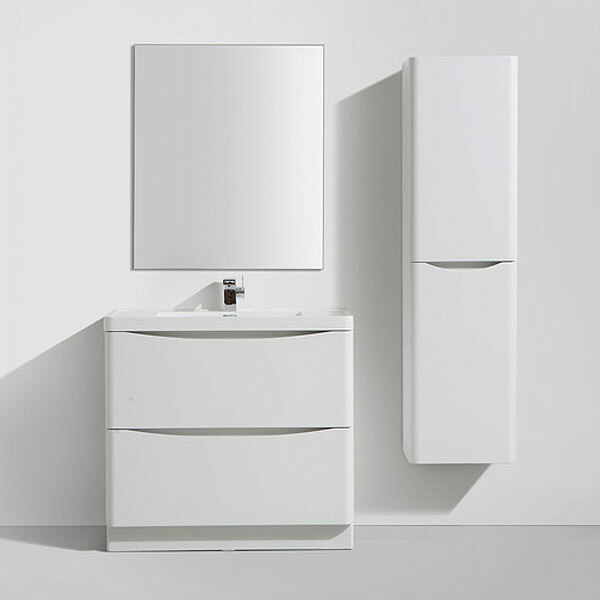 For a clean, ultra-modern look then consider white bathroom furniture. This brightens up the room effortlessly and white also mixes well with coloured fixtures including black and rose gold, which are very popular at the moment. Classical bathroom furniture can be very inspiring indeed. 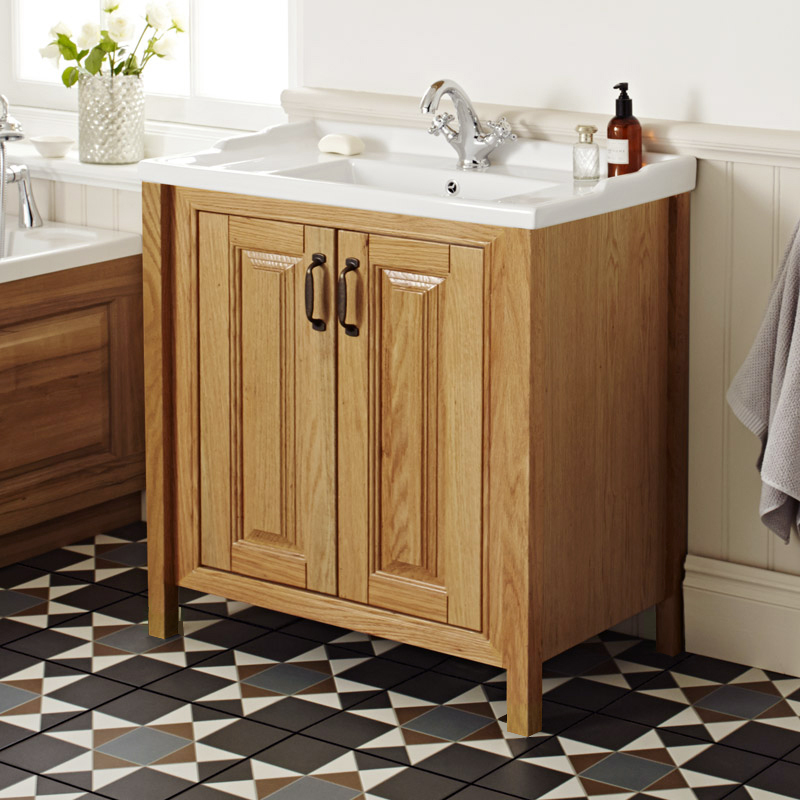 The old-styled bathroom furniture from years gone by will never go out of fashion. These timeless designs are firmly positioned within the hearts of many homeowners who want a luxury bathroom design. 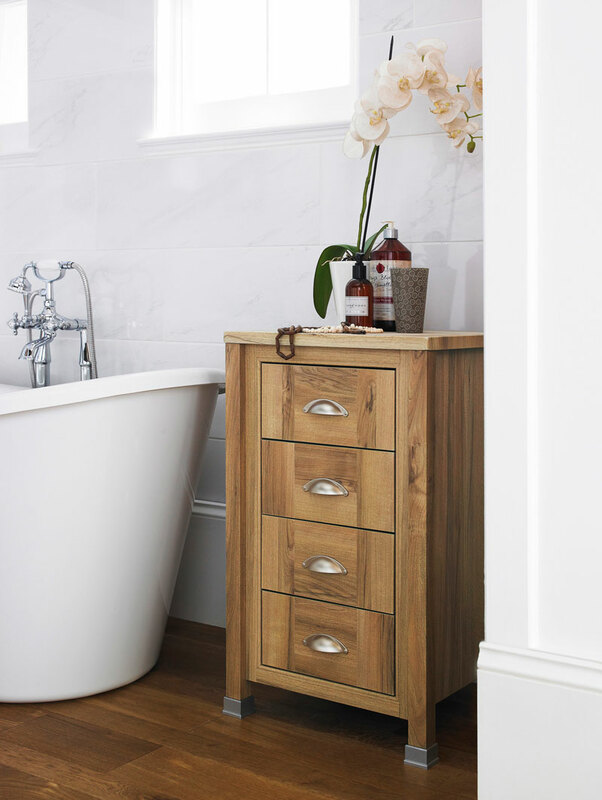 A really nice idea when planning your traditional bathroom furniture is to add some bathroom drawers. These subtle additions really offset the style beautifully and add that all important storage space too! Why not create a feature piece (pictured below) around the toilet to make this usually uninspiring area of the bathroom much more attractive? 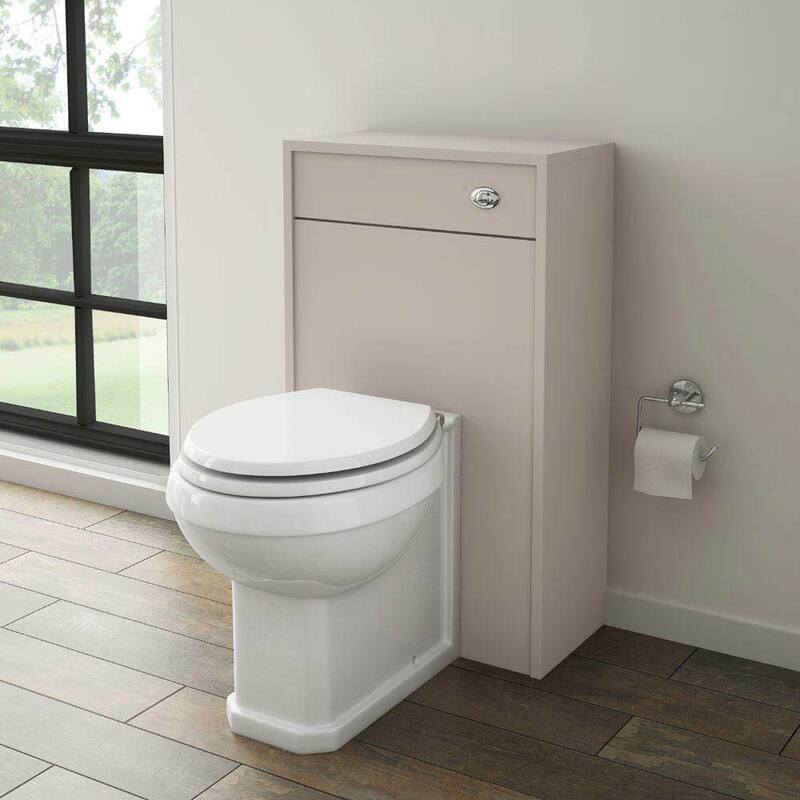 A back to wall toilet unit will really add elegance and charm to a traditional bathroom. Buying bathroom furniture can sometimes cost you an arm and a leg so it’s refreshing to see that there are lots of ideas that don’t cost the earth. 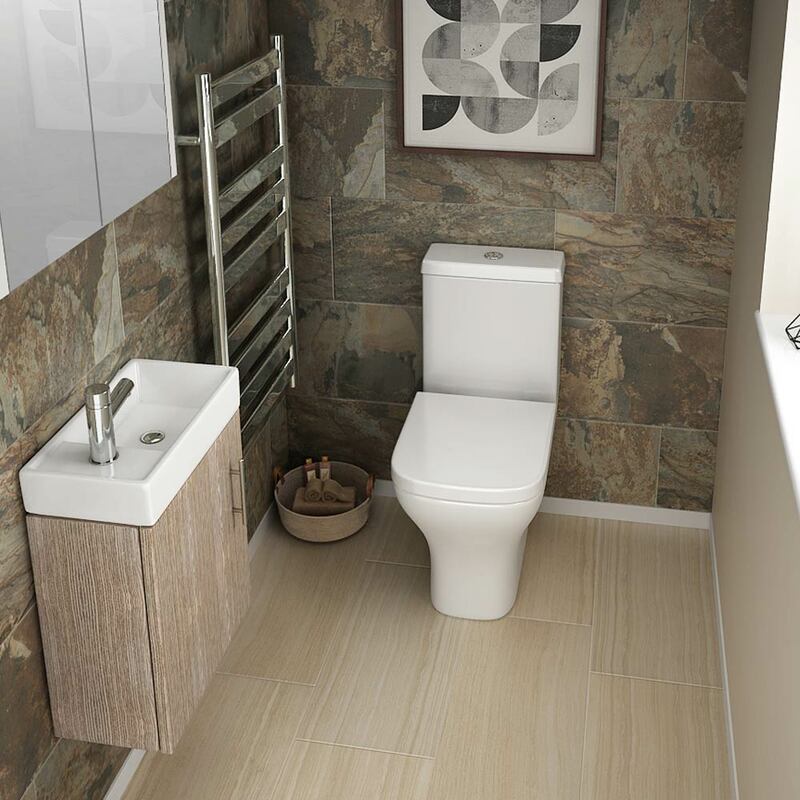 You might want to avoid top brands as they usually cost that little bit more, but there’s many other bathroom furniture brands which are well priced. The first place you should look for cheap bathroom furniture ideas is the sales. This can help you grab a real bargain if you’re shopping for bathroom furniture on a budget. It’s a good idea and less expensive to buy bathroom furniture in packages or bundles. 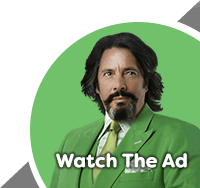 Not only do you save money this way, but you also know you’ve got all matching items. There aren’t many rooms in the home which compete with a luxurious bathroom. Large freestanding baths, stunning bathroom mirrors and marble tiling all form part of a majestic setting, however luxury furniture is what sets them apart! A double vanity unit (pictured above) is one of the most opulent pieces of bathroom furniture and creates a striking look that is impossible to ignore. If you’re looking for more luxury bathroom furniture ideas then you may enjoy browsing our Dream Bathrooms Pinterest board. It’s brimming with elegant inspiration to help you find something that’ll work in your luxury bathroom. Bathroom storage may sound quite boring and uninspiring, but the right bathroom cabinet can really create a stunning look. Whether you want bathroom cabinet ideas for small bathrooms or larger settings there is something for every space. If you want to add a mirror to your bathroom, as well as a cabinet then a fantastic idea is to combine them with a mirrored bathroom cabinet (pictured above). On the other hand, choosing a freestanding bathroom cabinet is a great idea if you’re in need of more storage space, but they also look amazing and can be decorated by placing ornaments on the top too. 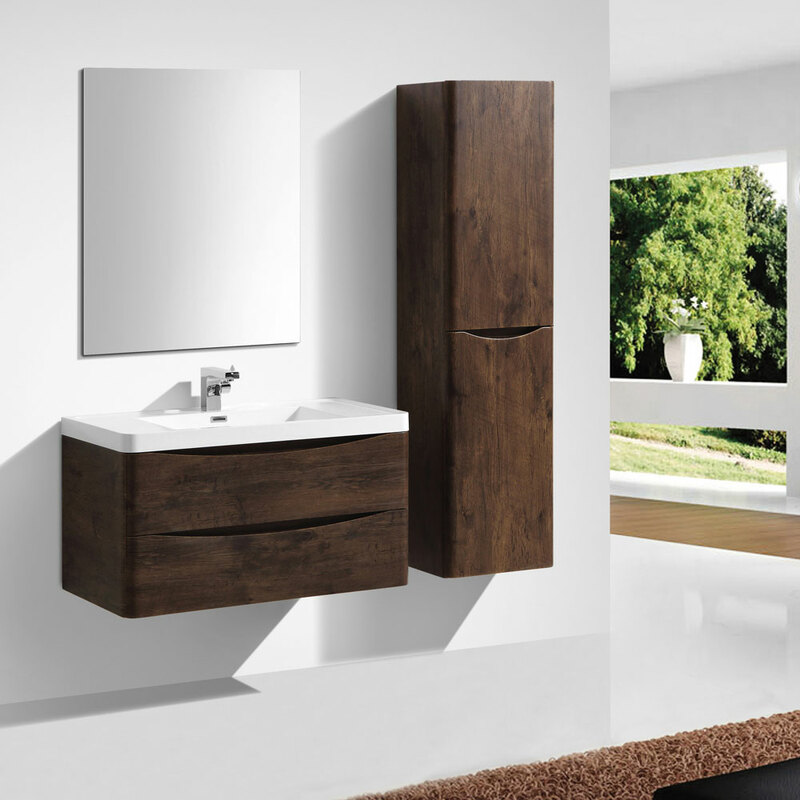 The most popular type of bathroom furniture is mirrored cabinets and vanity units. These highly practical pieces of furniture dominate bathrooms throughout the UK and Europe for good reason! The latter coming in a huge range of styles, colours and sizes making vanity unit ideas almost limitless. 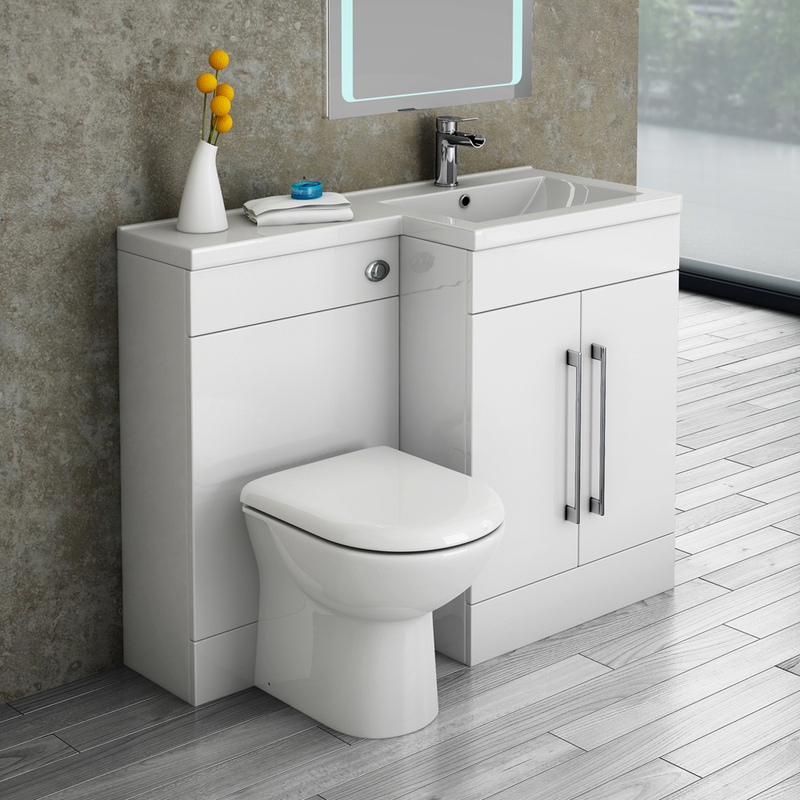 If you want something that is practical, stylish and incredibly good value then a floorstanding vanity unit (pictured above) is the best idea. 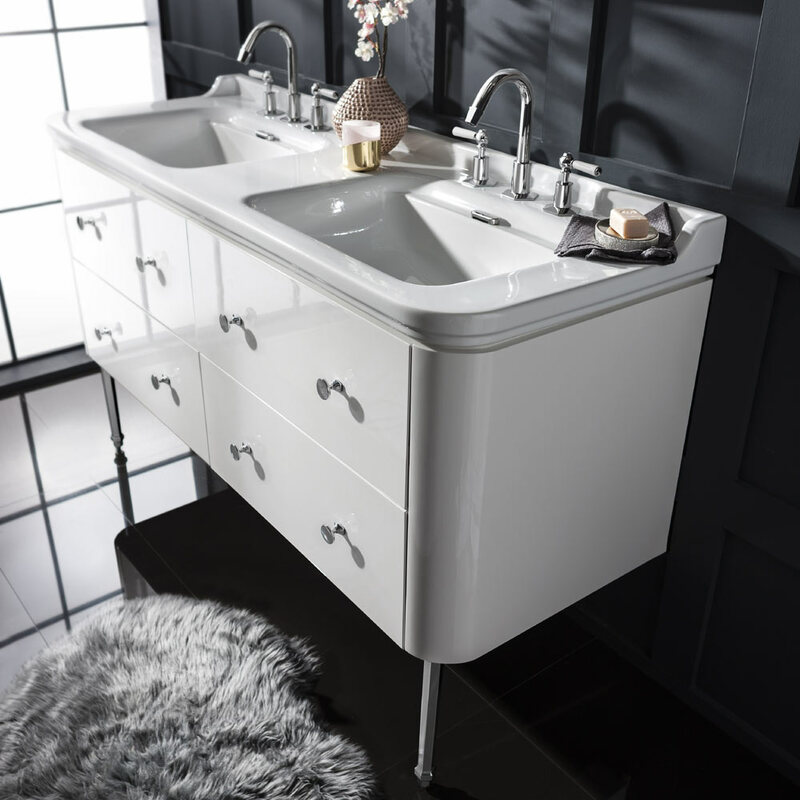 Vanity units also come in a stunning range of traditional styles (pictured below) which make them a strong consideration for classic bathroom designs. The majority of bathrooms in homes built within the last 40 years really don’t boast a lot of space do they? If you’re like me and struggle with furnishing a small bathroom then you’ll love these space-saving bathroom furniture ideas. Less-intrusive furniture for bathrooms like compact vanity units (pictured above) are still stylish, well-built and hold a lot of items so don’t be put off by their miniature look. 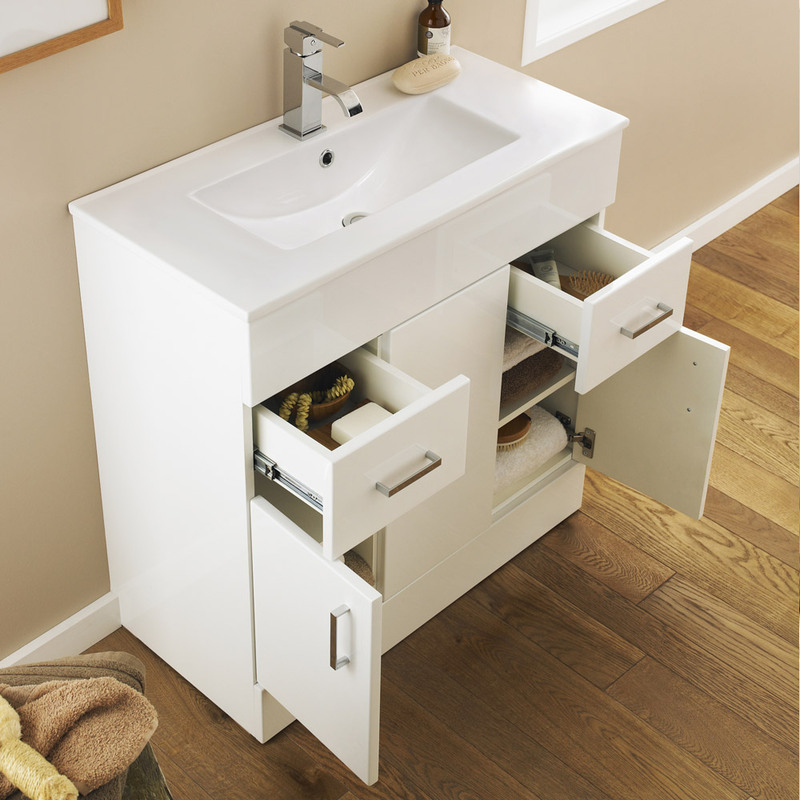 As well as small bathroom vanities ideas, another mini yet mighty idea is to install a combination vanity unit. 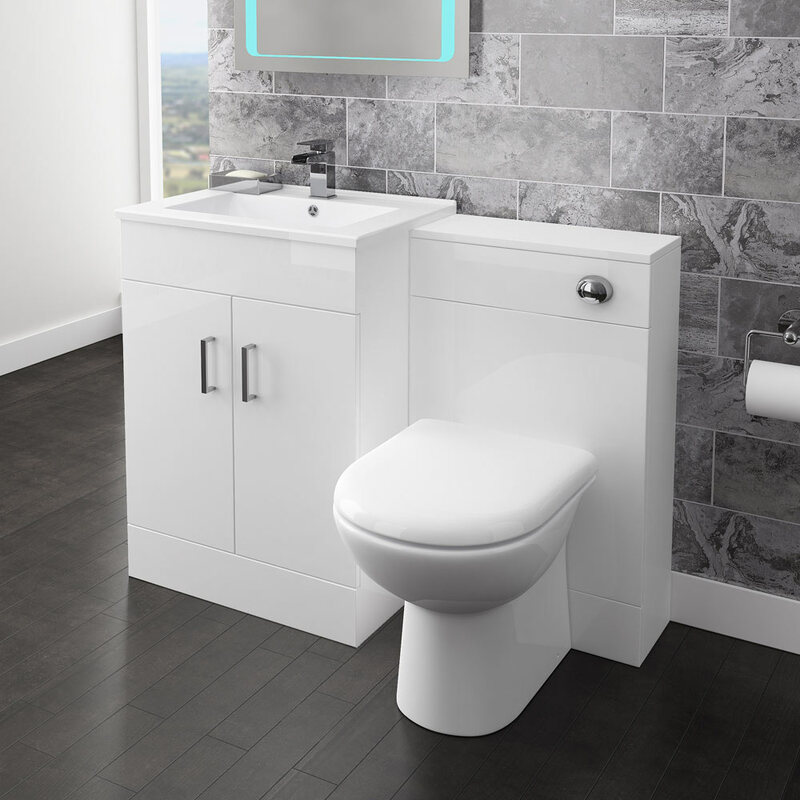 This super space-saving idea (pictured below) incorporates a vanity unit and basin with a toilet which combines 3 items in one and saves tons of space! A designer bathroom look is what so many people aim for but it can be difficult choosing the best furniture as there are so many ideas out there. Think branded but don’t necessarily feel the need to pay over the odds. Some great ideas for designer bathroom furniture start from relatively low prices. Designer bathroom furniture comes in a range of traditional styles (pictured above) and modern bathroom designs (pictured below) to ensure all bathroom types are covered. 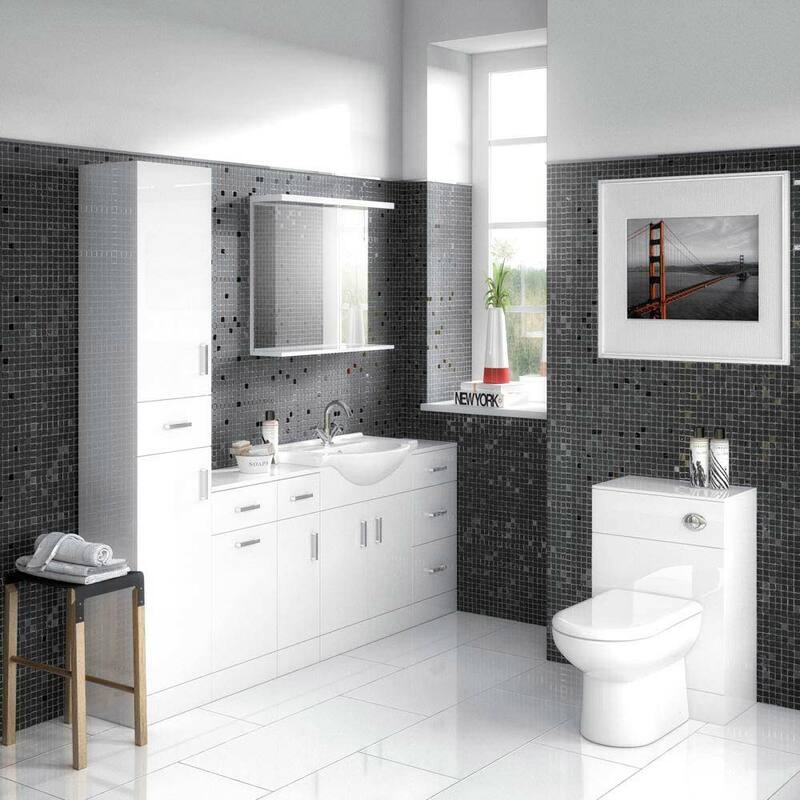 If you’re inspired to get that designer look and feel in your bathroom then we strongly recommend these bathroom furniture ranges for your consideration! Brightly coloured bathroom furniture can really have a positive impact in the room. One thing to note is that if you are choosing coloured furniture for your bathroom, try to stick with this colour unless you have a very creative side that you want to let loose. Not all coloured bathroom furniture has to be bright though and colours that would normally be considered dull like brown, black and cream can still create stunning results. 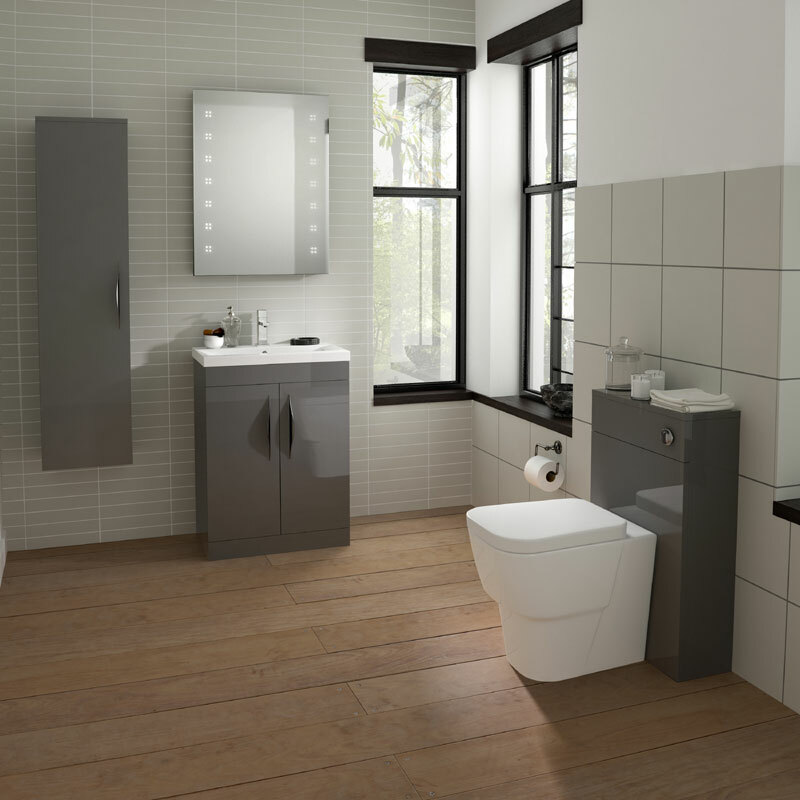 Popular colours for 2018 are grey and green - grey bathroom furniture ideas (pictured above) are really blossoming right now and their versatility with regards to colour matching is almost unmatched. 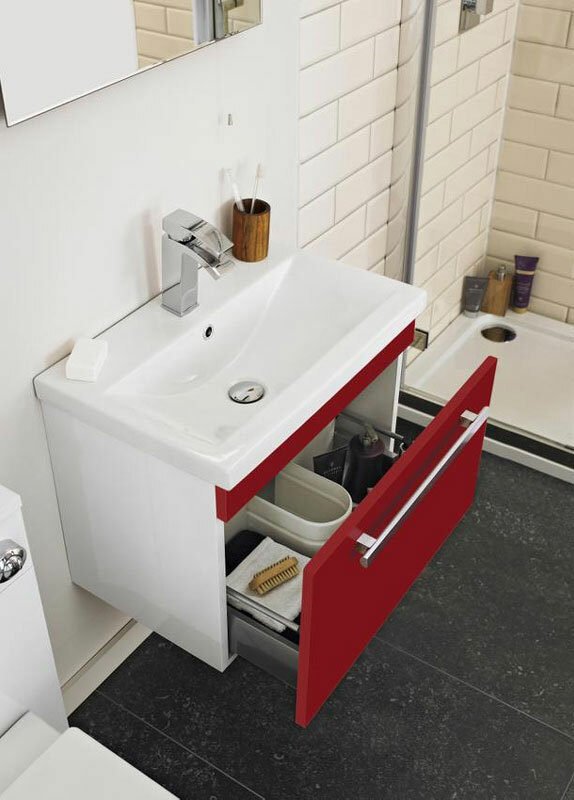 Other bathroom furniture colours which really stand out from the crowd are red (pictured below), blue and black. If you’re a creative person and handy with a paintbrush and tools then you might want to consider upcycling. There are heaps of upcycled bathroom furniture ideas around which are not only easy on your pocket; costing just a tin of paint, a few new hinges or screws and your time, but they also give you something to smile about. Don’t worry if you’re not so great with a paintbrush, your old bathroom furniture is beyond repair or you simply don’t feel like spending time sanding down old items, but still want the upcycled look then you can look for bathroom furniture which has a natural or distressed look (pictured above). 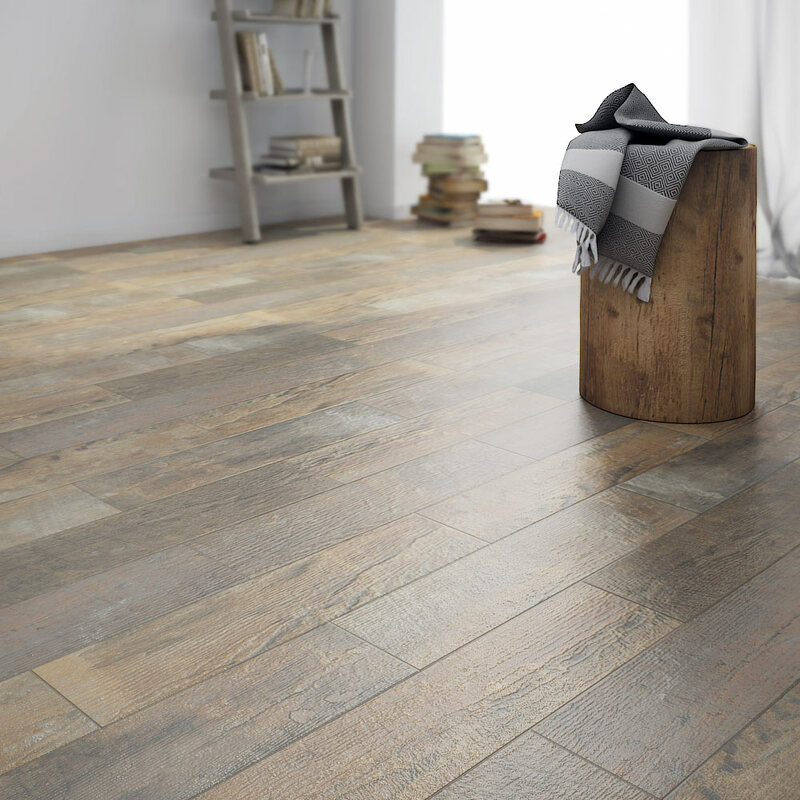 These items are unusually fashionable and really complement other items such as distressed wood effectbathroom tiles (pictured below). As you can see, when it comes to furniture for bathrooms there are lots of ideas and inspiration for you to use. Remember to try to use matching colours and shades when using coloured furniture and don’t be frightened of getting creative with ideas or even creating something yourself!